In an attempt to resuscitate its failing e-reader division, Barnes & Noble has decided to split into two companies. Basically, this means he hopes the separate Nook company will be more flexible on its own and therefore acquire more partnerships or even new owners. Microsoft, for example, could theoretically purchase the company. But branching off may have little to no impact on the Nook company. It’s been struggling for years, and has continued to decline in sales revenue, as other e-readers and phone apps compete in the digital market. Guess we’ll have to wait at least another six months to see what happens. Just because more and more people are reading e-books doesn’t mean they’ve stopped reading physical books. That’s according to the latest post-holiday study done by the Pew Research Center. 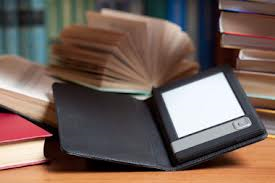 According to Publishers Weekly, most people who read e-books read print books as well. Only 4% of readers consider themselves to be “e-book only.” The study also found that people are reading more in general. American adults are averaging about 5 books per year, a slight increase from the study done at the end of 2012. The study found that about half of Americans now own either a tablet or e-reader. This is a likely explanation for why there are also more people reading across multiple formats — like print, digital and audio, as Andrew Albanese explains. 87% of e-book readers also read a print book in the past 12 months, and 29% listened to an audiobook. 84% of audiobook listeners also read a print book in the past year, and 56% also read an e-book. A majority of print readers read only in that format, although 35% of print book readers also read an e-book and 17% listened to an audiobook. Overall, about half (52%) of readers only read a print book, while just 4% said they only read an e-book, and just 2% only listened to an audiobook. Some 9% of readers said they read books in all three formats. As an avid reader, I certainly read across all platforms. I read physical books, Nook books, and listen to audiobooks. I have some friends who prefer reading through the Kindle app on their phone, others who use their tablets. Reading books takes all different forms these days. But hey — at least we’re reading. Everyone loves a good sale, and in the case of e-books, this doesn’t apply just to readers; it also applies to authors. According to The New York Times, one-day deals that e-book sites like Amazon and Barnes and Noble offer have resulted in huge sale boosts for authors. Any book is subjected to becoming a daily deal — usually those that are years old or that have never reached bestseller status. It’s easier to offer sales like these with e-books, which don’t have a sticker price attached to them. Publishers can change the prices frequently from $14.99 to $9.99 to $1.99. When people see those $1.99 offers — for one day only!! — they’re more inclined to buy a copy; not only is it cheap, but it’s also easy to download, as Julie Bosman explains. [Amazon vice president for Kindle content] Mr. Grandinetti said one book, “1,000 Recordings to Hear Before You Die,” was selling, on average, less than one e-book a day on Amazon. After it was listed as a Kindle Daily Deal last year, it sold 10,000 copies in less than 24 hours. Some titles have tripled that number: on a single day in December, nearly 30,000 people snapped up digital copies of “Under the Dome,” by Stephen King, a novel originally published in 2009 by Scribner. For publishers and authors, having a book chosen by a retailer as a daily deal can be like winning the lottery, an instant windfall of sales and exposure. The success of the those one-day deals often boosts sales for the next couple days or weeks as well or encourages readers to read other books by the same author. Web sites that track the deals from online stores have also popped up, making it even easier for readers to find the best sales. Barnes and Noble is now joining in with fellow competitors, Amazon and Apple, in the world of self-publishing. According to Slash Gear, B&N is launching NOOK Press, a rebranded version of B&N’s old PubIt! platform. NOOK Press will allow independent authors to publish their books and make them available ebooks, costing between 99 cents and $199. The books will be available on the Barnes and Noble web site and in the Nook Book Store. However, B&N will take a percentage of teh sales: 30% of books that cost less than $9.99 and 60% of books that cost more than $9.99. Sounds steep, but apparently Amazon and Apple have similar rates, as Craig Lloyd explains. [,,,] it’s right up there with Amazon’s 30% and 65% cut that they take from authors with their Kindle Direct Publishing platform. Plus, Apple takes the same 30% cut Apple from iBooks Author. Right now, NOOK Press is only available in the U.S., but it’s expected to become available in the UK as well. So independent authors….hop on board! Disappointing sales and the fall of the bookstore are contributing to the closure of more Barnes and Noble locations. And this week in particular, there are signs that Barnes and Noble is perhaps doing even worse than we thought. According to this blog post from Melville House Books, sales from this past holiday season absolutely plummeted — an 11% decrease in store sales and a 12.6% decline in Nook sales. Ultimately, hundreds of Barnes and Noble stores closed across the country throughout the holiday season. Most frightening about these closures is that most of them happened in large cities, like Los Angeles, Philadelphia, and Washington D.C.
And yet, it gets worse. 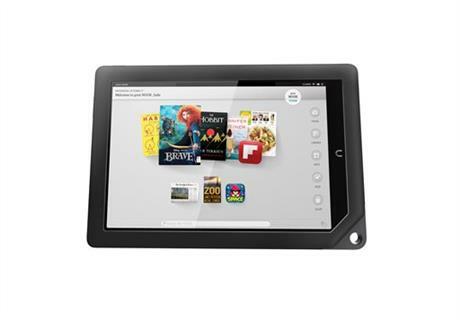 According to Huffington Post, this week through March 30th, the chain store is giving away the Nook Simple Touch for free with every purchase of the Nook HD+, reporting that its Nook business saw a steep 26% decline in sales in its holiday quarter. Apparently, as color tablets rise in popularity, the desire for a Nook Simple Touch (a black-and-white standard e-reader) has diminished. So what does this all mean for Barnes and Noble? One thing’s for sure. It doesn’t look good. In an effort to bypass Amazon, Barnes and Noble announced this morning it is releasing two new high-definition versions of the company’s popular e-reader, the Nook HD. This comes after Amazon announced earlier this month it would release four new versions of the Kindle, including the Kindle Fire in HD. According to the Associated Press, the Nook HD will come in two sizes, one with a 7-inch screen for $199 and one with a 9-inch screen, called the Nook HD+ for $269. It will also be lighter and narrower than Amazon’s new Kindles. In order to compete with Amazon, the Nook HD will offer a video purchase and rental service for both movies and TV shows, making it more of a tablet and less of an e-reader. Barnes & Noble will continue to sell its Nook Simple Touch and Nook Simple Touch with backlight, but will start phasing out the Nook Tablet and Nook Color. Experts say there are pros and cons to both the new Nook HD and Kindle HD, as Mae Anderson explains. On specs alone, the new Nook presents a tough choice for consumers seeking a cheap option to the iPad this holiday, analysts say. The 7-inch Nook HD is slightly lighter and narrower, with a sharper display than the similarly priced 7-inch Kindle Fire. So far, Amazon offers more services, McQuivey said, with a bigger app store, and more extensive video library, not to mention Amazon’s vast product offerings and its Amazon Prime free-shipping service. 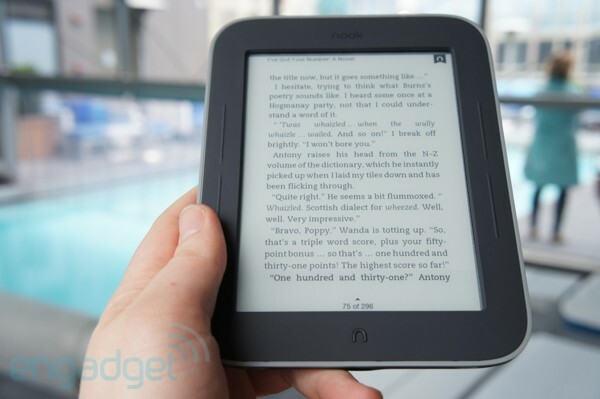 One thing the new Nook HD has going for it? Some retailers like Walmart and Target have stopped selling Amazon’s Kindle because of the online competition, but Barnes & Noble products will still be available in these stores.